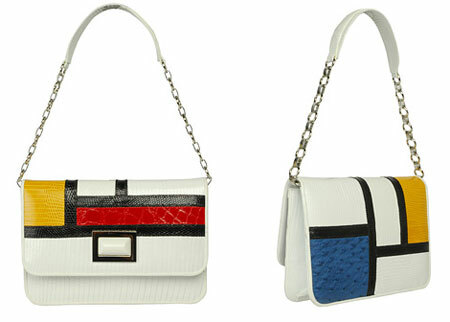 To match your Mondrian dress, you can now pick up this Kara Ross Mondrian-style clutch bag. This high-end leather accessory has a chain-link shoulder strap, those geometric coloured panels on the front and back and pockets that sit on the lining. If all that appeals, maybe the price will put you off – a whopping £1,675.